Chris Ray was born in Historic Flat Rock, NC. His father was the author of a published, historical book and mother was a photographer and writer for the local newspaper. It was probably the influence from the talent of both parents that led to his interest and desire to evolve into the artistic world. 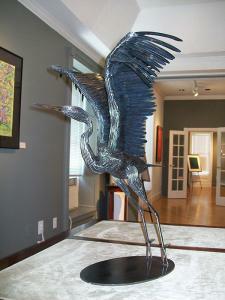 Most of his work is drawing, but has been doing some mixed media and metal sculpting, as well. 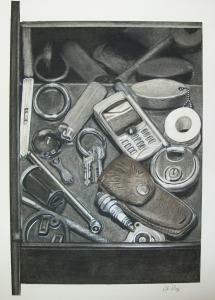 His preferred medium is charcoal, but graphite, conte, colored pencil and acrylics are also used. 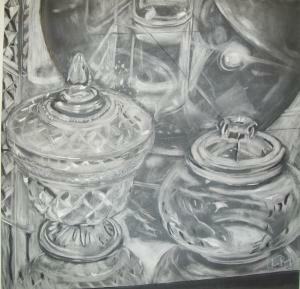 “My purpose is to express my personal perspective of each subject I draw. Having grown up in a historical area, I have always been intrigued by the local architecture. Each structure or subject seems to have a personality of its own. I feel it is my purpose to bring that characteristic to life and present it onto paper or canvas. 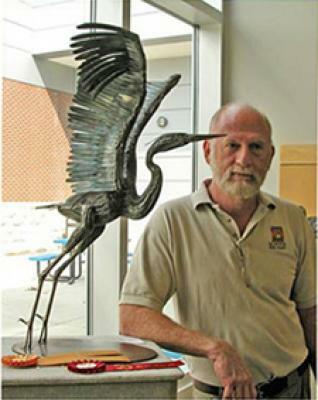 Chris has studied Art at the Mountain Phoenix School for Art, Greenville Technical College, and Spartanburg Community College.